This section contains information about latest opportunities, getting a job in EU institutions, student case studies and wider employment opportunities. 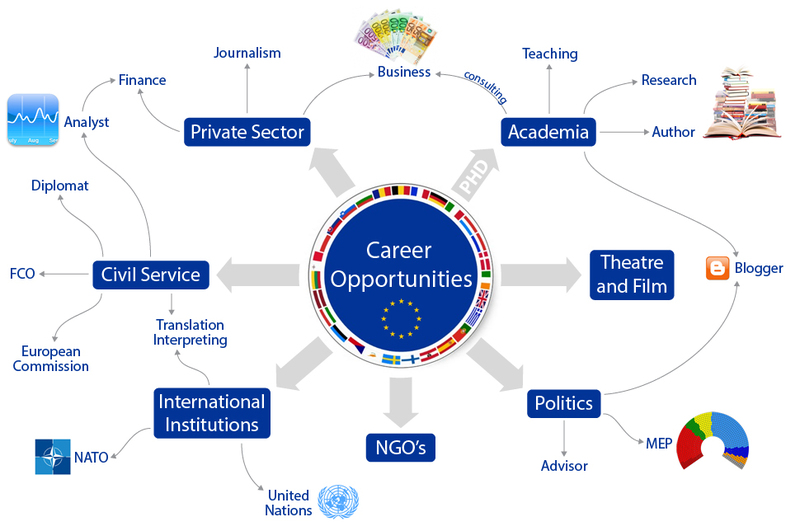 Career Opportunities in European Studies. Please click on the above diagram to enlarge it. Alternatively, if you are using a smart phone then you may want to view a pdf version of the diagram. You may also like to find out more about all the European Studies courses run by the the University of Portsmouth.